At Ascent Academies, we consider student safety a priority as students are transported to and from the school, and we will work to continually evaluate and revise procedures as needed. AAU will evaluate the school grounds and surrounding neighborhoods to create pick up and drop off protocols as well as assess safe walking and biking routes. 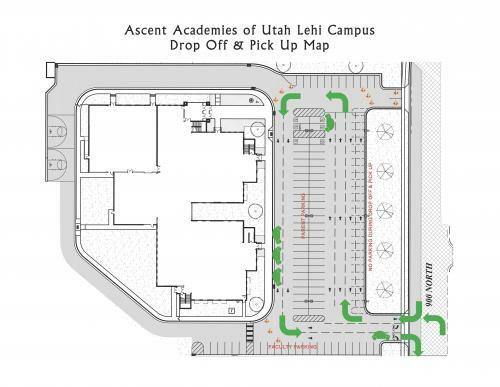 Please review the full Pick Up and Drop Off Plan and view the graphic below. For walking and biking routes to school, please view our School Neighborhood Access Program (SNAP) Plan.